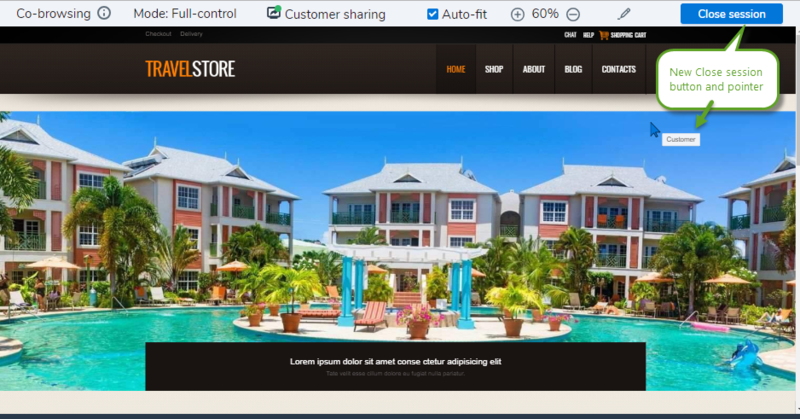 With Co-browsing, you offer live, hands-on assistance to customers, take control of their cursor, and demonstrate how to perform the action while the customer observes. 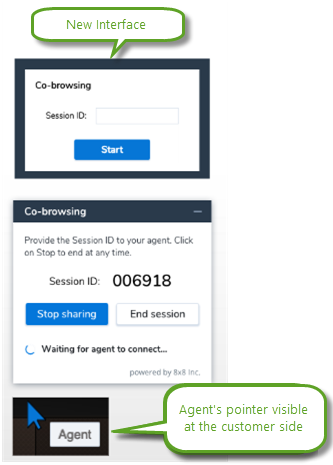 Via co-browsing, you can securely connect to remote computers, access, and troubleshoot problems over the Virtual Contact Center platform. For details, see our content on Co-browsing. Customers, who use 8x8 Co-browsing for remote assistance, can now enjoy better usability with the following enhancements. A new and refreshed user interface. 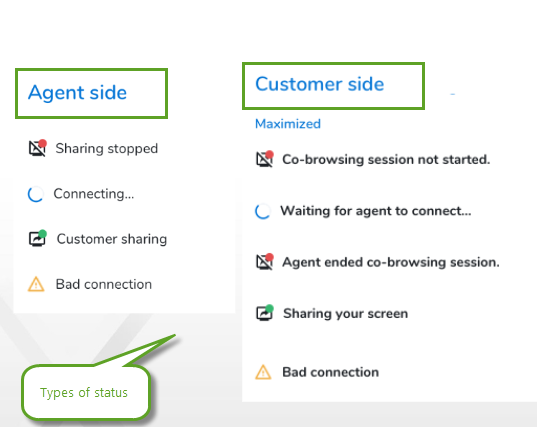 Enhanced usability: An easier way to close the co-browsing session for agents. 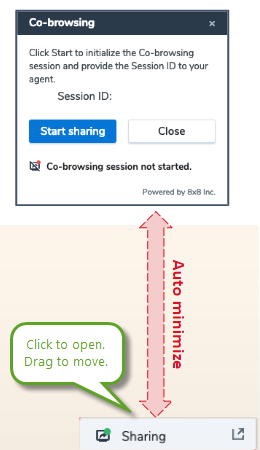 The new Close session button that replaces the X button is easier to locate. Better visibility to the status of co-browsing session on customer side. The auto-minimized status window allows you to keep an eye on the status at all times. You can drag and move the status window to the desired location while in a live session. Ability to receive feedback when the co-browsing session is interrupted, or takes time to load on the agent's side.